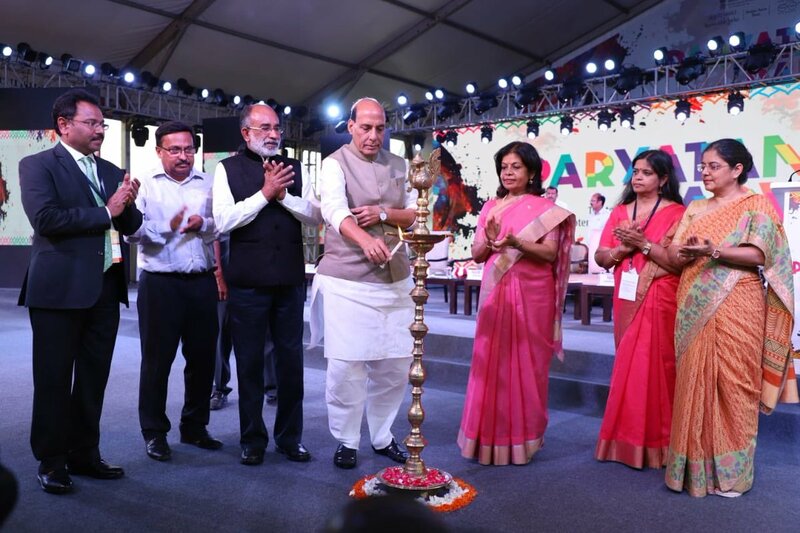 Home minister Rajnath Singh has said that India is the only country where all major religions of the world, diverse cultures, customs and cuisines are found and people should see and experience this Incredible India. Mr. Singh was speaking after inaugurating 12-day long festival of tourism – Paryatan Parv at Rajpath Lawns in New Delhi this evening. Speaking on the occasion, Tourism Minister K.J. Alphons called upon everyone to see, experience and get transformed by travelling across India. The idea behind the festival is to draw focus on the benefits of tourism, showcasing the cultural diversity of the country and reinforcing the principle of Tourism for All.